Little is known of the Haneys before they came to the area around 1902. We do know that R.J. placed his young family with relatives in Winnipeg and went off to the Yukon to seek his fortune. He got work as a conductor on the White Pass and Yukon Railway and won and lost several small fortunes on the side. We know that he was fairly well off when he arrived in Salmon Arm. He plunked cash down to pay for this farm (80 acres) and he was well known in the area for his generosity. After purchasing the farm and putting up a log home, he sent for his family. He had a mixed farm with cattle, wheat, and fruit trees. Some of the trees around the parking lot are from his original orchard. His family soon outgrew the log house and a second home was built about where the present Haney House stands. 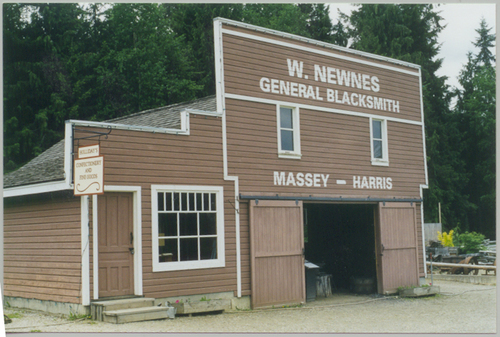 The Newnes Blacksmith Shop, circa 1924, is a 2/3 scale replica of the original shop and was built with a generous donation from the Newnes family. From humble beginnings in this shop the family developed a business that is international in scope, is one of the largest employers in Salmon Arm and has today been purchased by a large American firm. 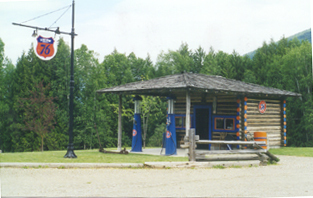 Alf Westerberg built this service station for A.D. Meek in 1927 on the Video Express property, south of the TransCanada Highway in Salmon Arm. Called the "Flea on the Fly" by R.J. Haney, Meek ran several business concurrently. He operated an orchard and packing house, opened Salmon Arm's first trucking and hauling business, and ran the Union Oil Bulk Plant. He also delivered gas to Salmon Arm, Sicamous, Sorrento and the North Shore. 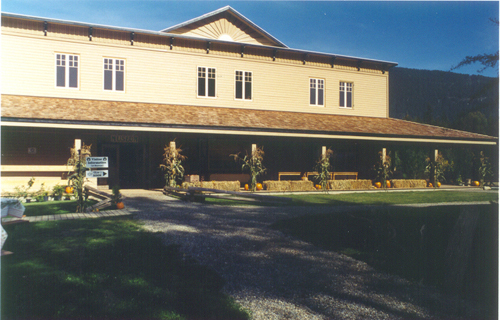 The Museum was built with a generous grant from B.C. Lotteries Corporation and houses our archives and artifact collections. 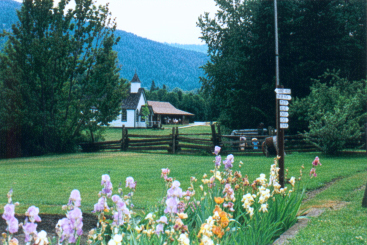 The main presentation area is used for on-going display depicting aspects of Salmon Arm's history. There are also reception, offices, archives, gift shop and washrooms in this building. These are only a few of the 12 heritage and replicated buildings that make up the village. Come and take in the village and the history that it represents, then have a leisurely lunch in Marjorie's Tea Room. Tours of Haney House and the village are also available. Ready for a walk? 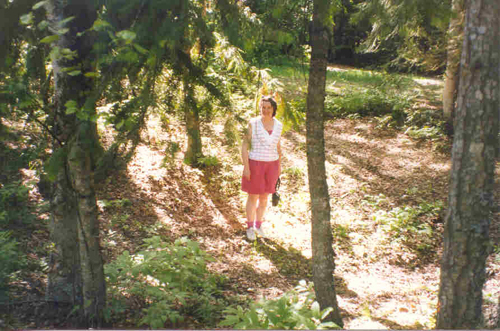 While the Heritage Village, Museum and the Haney House and grounds are showcases of our local history, they only take up a few acres of our forty acre park. The rest of the acreage tells a different story. From grassy meadows to sheltered wooded slopes and on to moist, cool wetlands by the stream; the park has a rich heritage of natural history. Museum & Archives- All Year- Wed.& Thur.